Escape into the world of Bond - James Bond. Experience elegance and drama surrounded by casino tables, aerialist performances, Bond theme music, cocktails and hors d'oeuvres. The evening will belong to the legacy of 007 with Bond themes weaved throughout the program and design. 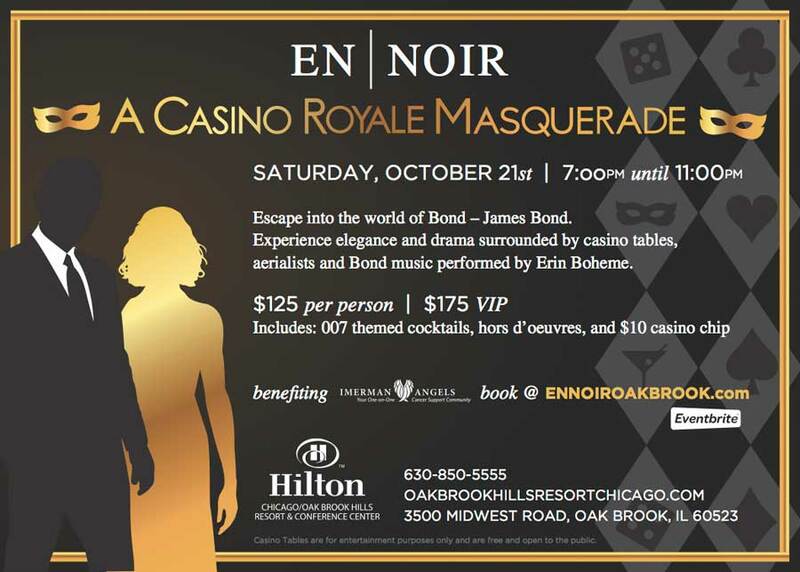 Erin Boheme, first discovered by Michael Buble, will set the tone with sultry renditions of Bond’s most memorable themes. Enveloped in drama will be captivating performances from aerialists as they drop from the ceiling of the Grand Ballroom while masquerading guests relish the casino tables. Sip on themed cocktails from the premium open bar and savor chef-driven hors d'oeuvres while you play out the evening of extravagance. Look Good. Be Bad. Blame it on Us. The 2014 broadcast of Windy City Poker Championship -- including the $1,000 Qualifier Tournament, $3,000 Single Table Tournament, and the first ever low-stakes, televised $2/$5/$10 No Limit Hold em Cash Game -- is now available online. Just head over to the Windy City Poker Championship section of our site! The 4th annual All-In for Wishes charity poker tournament to benefit the Make A Wish Foundation was held in Albany New York this past weekend. This year's event featured a televised livestream with hole card information via an RFID Poker table from Ted Leahy at Lucky Leahy's. The TV production started right after the re-buy period ended and went all the way to a crowning of a champion. More than 5 hours of coverage was hosted by James Allen, Kirk Fallah, Greg Merson, and Lee Childs. Over $20,000 was raised at the event which will go to benefit the Make A Wish Foundation. You can watch the coverage on Youtube. This post originally appeared on the geekchicago.com blog and is being re-printed here with permission. Technology is infiltrating life in ways we may not even expect. One of those areas is the poker arena. Technology may have just found a way to "solve" poker. What does that mean? Consider a simple game like tic-tac-toe. If player A does one move, then with the goal of winning in mind, player B has an optimal move, guaranteed to put him on a path to victory (or in this game, at least a "draw".) It is a "solved" game. Poker is way more complicated than that, though... right? Yes, and no. It seems that this new "pokerbot" artificial intelligence that provides the "brains" over 200 Texas Hold 'Em Heads Up machines across the US basically always comes out on top. The pokerbot uses knowledge that it has from billions of staged rounds of poker, fed through neural networks (essentially a complex decision making formula), resulting in an unpredictable but virtually unbeatable poker player. In fact, it took the developers 2 years to dumb down the system enough so that players wouldn't walk away. Even so, its estimated that only 100 around the world will be able to beat it on a regular basis. ...you and I are probably not one of those 100. But it's worth a try, right? Yes in the sense that [Artificial Intelligence engines] exist which can profitably play heads-up limit hold'em against tough opponents. No in the more formal sense - as far as I know, we haven't fully enumerated a game theory optimal strategy for heads-up limit hold'em. Windy City Poker Championship returns with its fourth season on Sunday nights in June and July at 7pm and 8pm. The first two episodes of the season showcase the spring heads up eight man tournament, including Rick Rahim, Nick Jivkov, Pawel Andrzejewski, and Ryan Leng. The second half of episode two features the $3000 buy-in single table tournament featuring WPT Boot Camp instructor Nick Brancato, 2003 World Series of Poker Main Event Champion Chris Moneymaker, WLS and Sun-Times' Richard Roeper, ABC7's Ron Magers, Circuit Event Champion Aaron Massey, and additional pros and amateurs. Tune in every Sunday night to Comcast SportsNet (what channel number is that?) to catch the latest episode, hosted by Jason Finn and produced by Kirk Fallah. 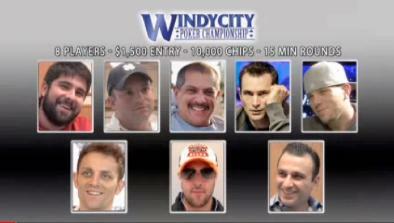 Alternately, episodes can be found online at WindyCityPokerChampionship.com. On Saturday, April 27, 2013, the American Friends of the Israel Sport Center for the Disabled and the B’nai B’rith Sports Lodge will be holding its 7th Annual Poker Tournament and Casino Night at the Mart Plaza in Chicago, IL. 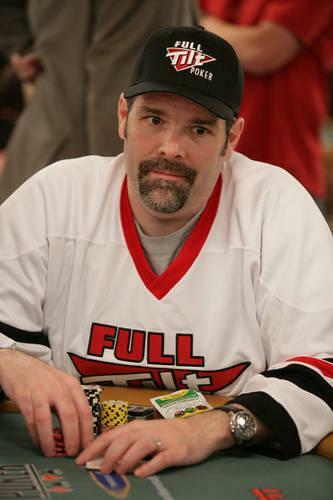 According to a Stipulation and Order of Settlement filed on Tuesday, former Full Tilt Poker board member Howard Lederer has settled his civil case with the Southern District New York. Lederer was one of four Full Tilt Poker board of directors named in a September 2011 Amended Civil Complaint in which the Government sought the forfeiture of $42.5 million paid by the company to Lederer. The U.S. Attorney's Office alleged that Full Tilt Poker operated as a "massive Ponzi scheme," and claimed that the board defrauded the players out of more than $330 million. This Friday night, November 9, 2012, the Chicago Cultural Center will see the 7th Annual Chicago Poker Open, benefiting the Boys & Girls Clubs of Chicago, presented by Joel Schaub and Guaranteed Rate. The event is expected to sell out this year, with space for 150 poker players, and 150 casino players and other spectators. You may register online (and secure a discount) by going to ChicagoPokerOpen.com and clicking the registration link. The winner of the event will take home the "Rain Man Getaway" - featuring two first-class tickets on United to Las Vegas, a four-day, three-night stay in a new tower at Caesar's Palace, dinner for two in Las Vegas, and a custom suit and shirt courtesy of Balani Custom Clothiers. Other prizes include electronics - iPods, televisions - sports paraphernalia, a Lake Michgan cruise and dinner, gift certificates for restaurants and massages, a Skyliner Bicycle, and more. Celebrity invitees planning to attend include perennial supporter, columnist, and movie critic Richard Roeper, former Chicago Bear Chris Zorich, sports host David Kaplan of Chicago Tribune Live, Urban Prep Academies' Tim King, Cook County Commisioner John Fritchey, Alderman Rick Muñoz, Christina Scoleri from Mob Wives Chicago. There will be Add-On and Re-Buy opportunities Please check out the Tournament Rules and Regulations. This year we will also be joined by some of the Chicago Blackhawks Ice Crew, on the felt, and on the gaming floor! Chicago Poker Club 3.0 has arrived. Welcome to the party. Many of our positive changes are behind the scenes, but please stop and enjoy our new look and feel. Our Poker Events and Tournament Calendar are enhanced, and continuing to improve, with an emphasis on where you can play poker today, tomorrow, or this week. Forgive our dust as we continue to clean out the bugs and cobwebs, and please let us know via our forums, or through our contact form, if you find something that needs help. While you're at it, register (if you've never registered on our site before), and drop us a line in our forum. 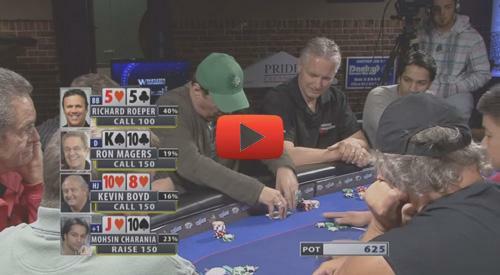 Watch an archived episode of Windy City Poker Championship.